What's a holiday without a visit to at least one ramshackle second-hand bookshop, eh? Pele-Mele is a small-ish Belgian chain (there are two other branches in Brussels) that buys and sells books, magazines, records, and some toys. It's also a brilliant way to escape from a grey, rainy Brussels day. 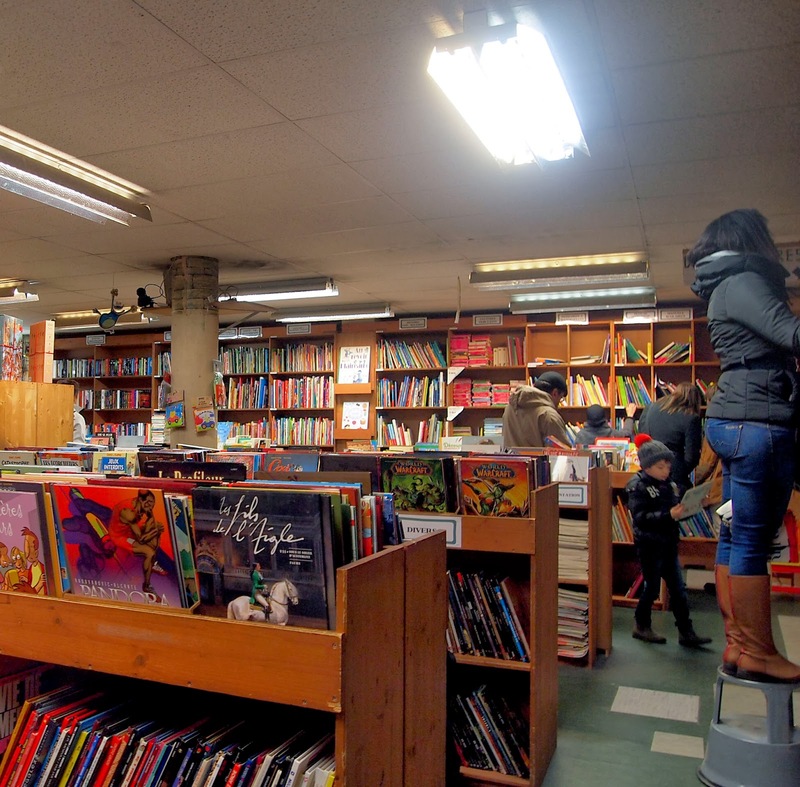 The majority of books and records are Belgian or French, although there's a small selection of English-language books toward the back of the store. (See this photo above? It's here, as well as on the wall in front of it.) You might have to do some pretty thorough excavations to find an interesting book (be prepared to wade through lots of airport-books/Paulo Coelho/non-Harry-Potter J.K Rowling/perhaps even a Dan Brown or two!, you get my drift), as most of the tomes on offer seem to have been offloaded by backpackers passing through the capital. Still, isn't that part of the fun of second-hand shopping? The thrill of looking for treasure, the possibility of finding something special! Or you could simply pick up a few copies of Tram 2000 for the special tram-spotter in your life.